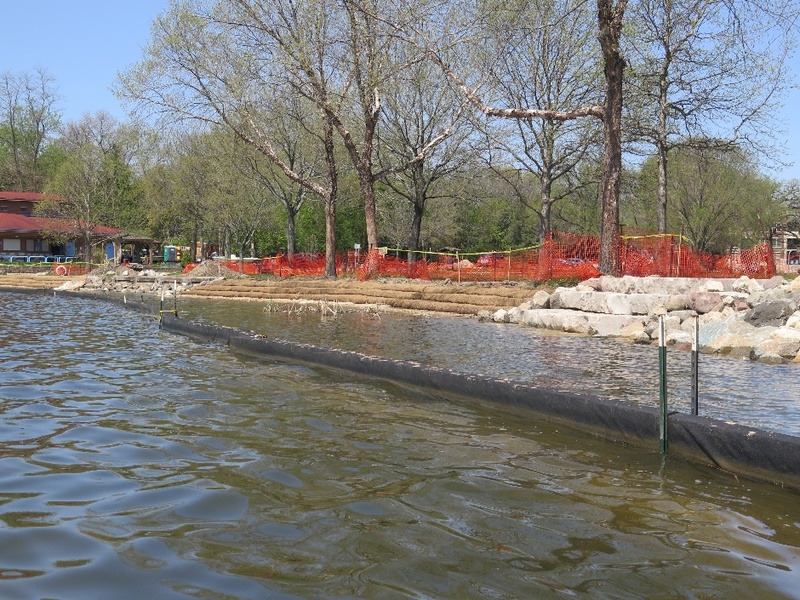 What is Happening with the Wingra Park Shoreline? paddlers and log rollers. The new canoe and kayak launching ramp is complete – check it out in the image above! We started our paddle from the new ramp today. Out on the water you can see the construction underway. The new shoreline includes new vegetation, rip rap to protect the shoreline, and stairs into the lake for the log rollers. New stairs and areas to be vegetated along the shore.